CHINA. 2013. Altai Mountains, Xinjiang. 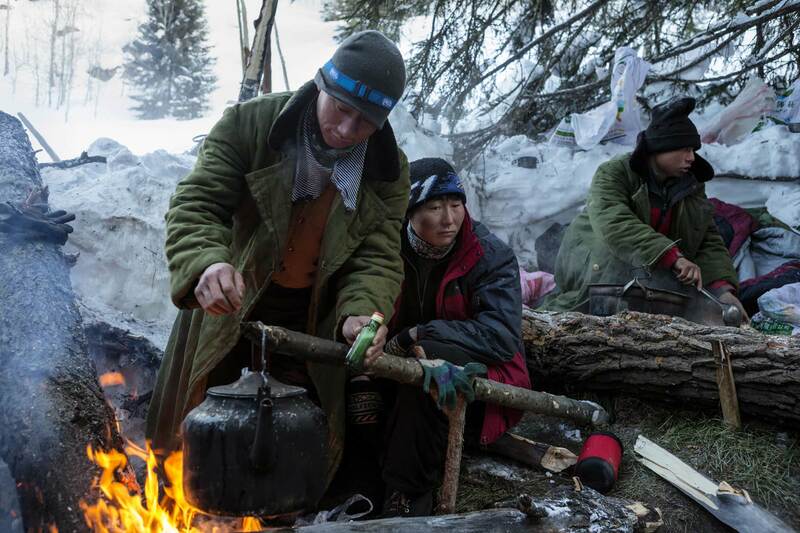 The traditional skiers heat water over the campfire, while on a mutli-day excursion. Temperatures in the area regularly drop to minus 40 Celcius.